M&S’s ‘Tastes of The British Isles’ Range Even Includes a Swanky Upgrade for Paddington Bear’s Marmalade Sandwiches! It may be a little drizzly today, but there are still two weeks left of the summer, which means we can still fit in a couple more bbqs, right? Or at least some indoor ones, using some of the great British-sourced produce from M&S. 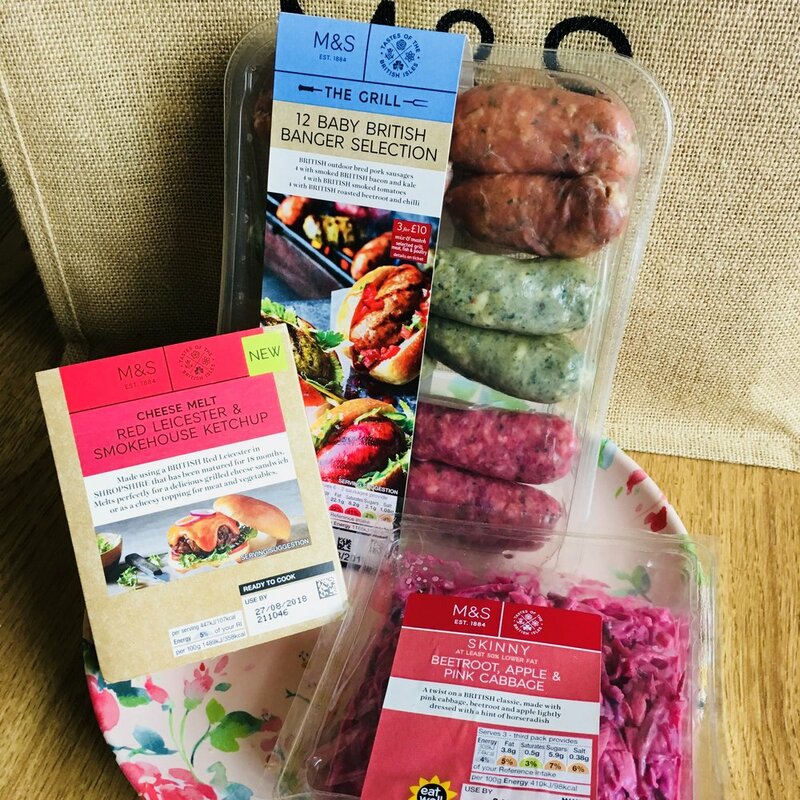 I called in store at their Bangor Bloomfield branch today to pick up some treats from the ‘Tastes of the British Isles’ range, sourced from farms across Scotland, England, Northern Ireland and Wales, and stretching throughout the whole Food Hall. What first caught my eye was this tasty little rib rack that would suit friend of Marks & Spencer, Paddington Bear! He loves his marmalade sandwiches, and this is a marmalade glazed pork rib rack. 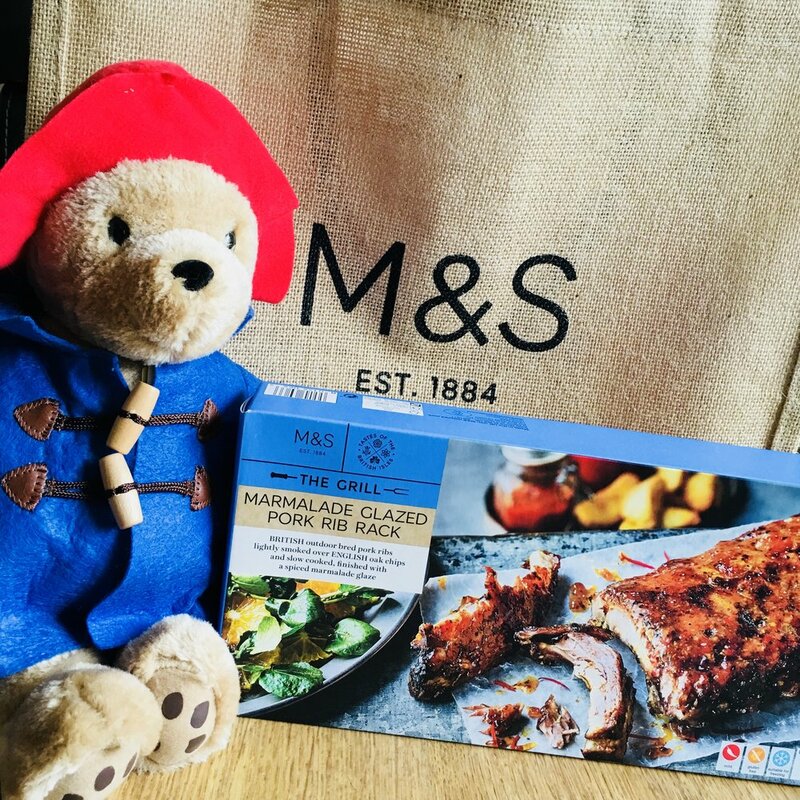 Even Paddington can upgrade his dinner by shopping in Marks and Sparks! 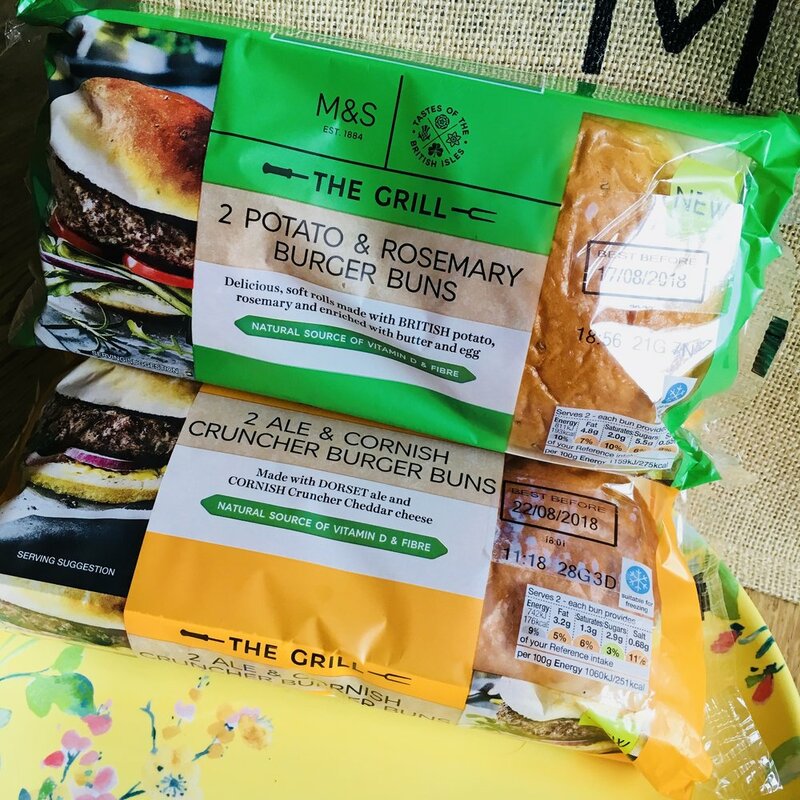 There are lots of great deals on their meats right now too (check out all the offers here) including 2 for £5 on selected sausages, and 3 for £10 mix and match across fish and meats. Selected beef joints are down from £15 to £10, ideal for Sunday dinner. Keeping in the chilled meats section I spied the rainbow of sausages! I’ll be taking this spread of food to Sunday lunch to share with my family so there will be something for everyone. I’m a sucker for a novelty, so chose the Red Leicester & Smokehouse Ketchup Cheese Melt to try on the burgers. The Skinny Slaw (above) I’ve tried before and it’s so good. Coleslaw is something I do avoid when I’m being healthy because it’s got so much mayo on it (says the person who just bought a slab of cheese) but this coleslaw is just as good and is so fresh and sweet. It looks pretty on a plate too. M&S Cornish Cruncher cheese is one of my favourite cheeses, so these baps will be Super I’m sure. I’ll have to make sure I get one of the yellow ones on Sunday when we try them. I’ll be sharing my verdict on my Instagram. The ‘Tastes of the British Isles’ desserts are classics and very hard to choose from. 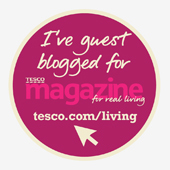 There are Bakewell tarts, Crumbles, Eton Mess, Rhubarb and Custard, and much more. I picked a few to try and as you can see they are even beautiful to look at, never mind to taste. I feel like I should be putting on and afternoon tea like one of the posh hotels with a tea set and a layered tray with all my pastries , they are that pretty. 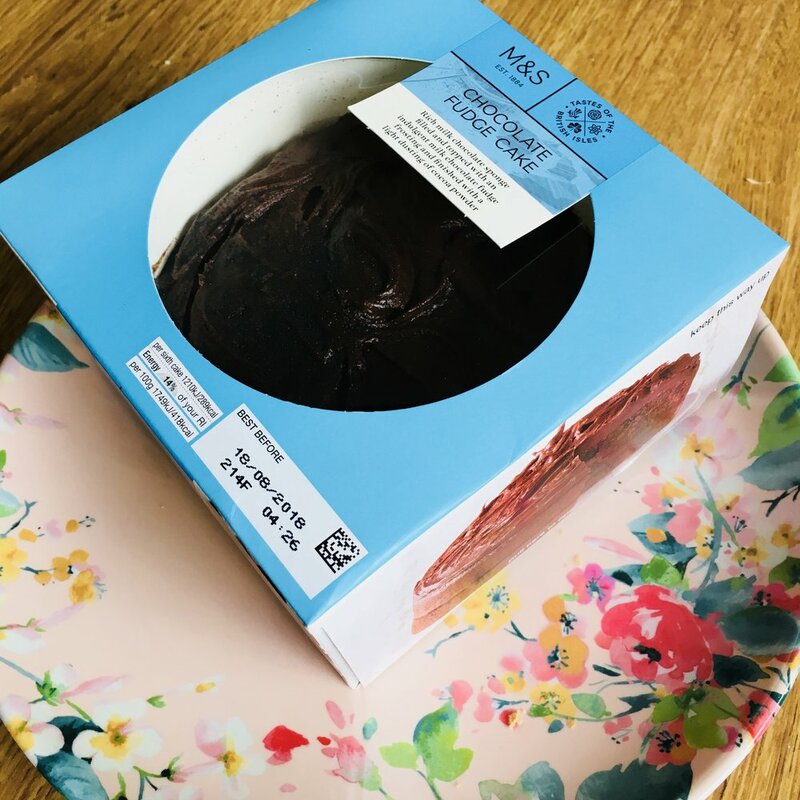 Smix sneaked in a British Classic- a very chocolatey Fudge Cake. We actually buy this cake often, he loves it. It only costs £2.80 and you won’t find a more moist cake without making one yourself. Long time readers will know I have a ‘thing’ for the scent of violet, and the taste of rose, so although the Lemon Rose Presse isn’t strictly Taste of British Isles, it is Summery, and I had to give it a whirl, it is GORGEOUS. Rhubarb, Raspberry & Rose Jam, one thing I love about M&S is that they make products that you can’t get in other supermarkets. I am the type of shopper that will always try the new flavour over the old favourite. In other words if I go into a shop to buy a bag of crisps and there’s a new flavour, I’m always going to buy that rather than the same old one. That’s why my Instagram is always flooded with weird and wonderful food products I’ve found in random little shops, or hauls from Euro or Asian Supermarkets. 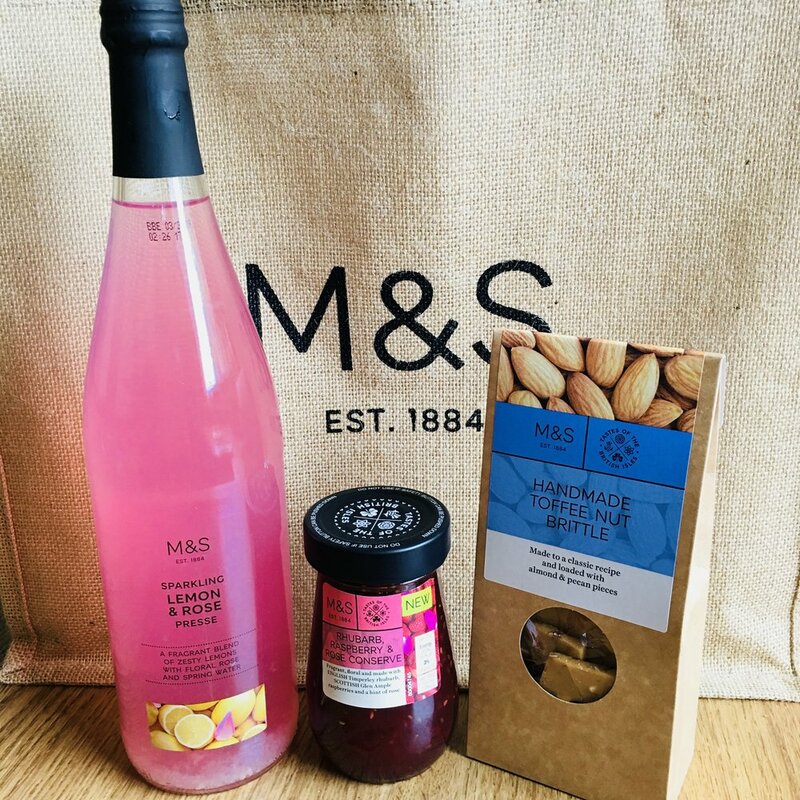 So I love that Marks and Spencer are always trying unusual products like Sea Salt and Vinegar Caramels this summer, like Beetroot and Apple Coleslaw Skinny Slaw. They currently have grapes that taste like a Candy Floss, Mango, and Strawberries on sale in the Bloomfield Bangor Store. Lastly, the ‘Tastes of the British Isles’ range reaches the takeaway section too, with sandwiches and rolls to choose from, as well as desserts. 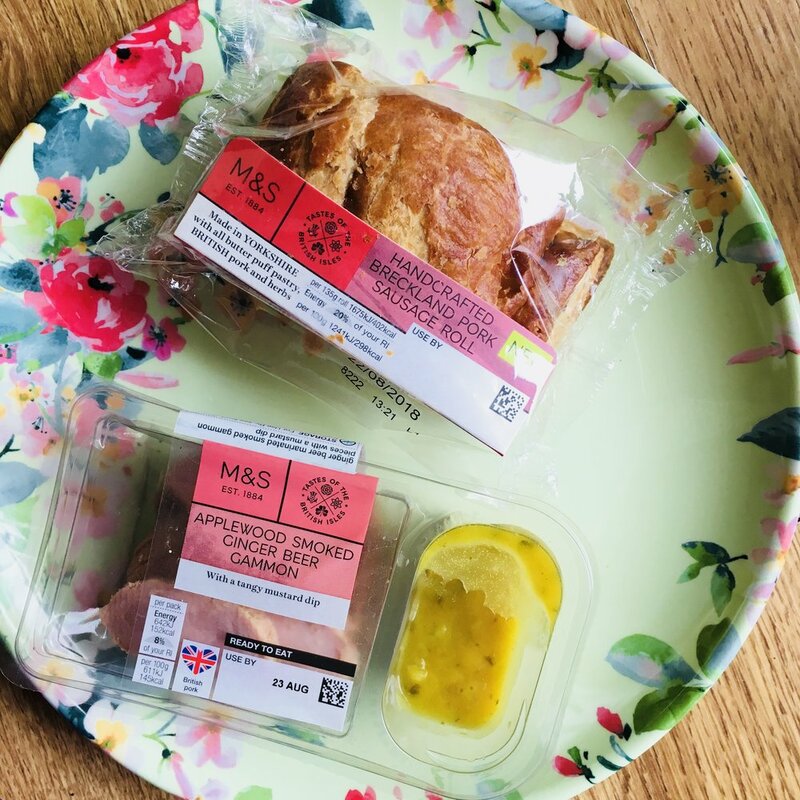 My favourite though is the Applewood Smoked Ginger Beer Gammon with Tangy Mustard Dip- how do M&S make everything sound so darn tasty even in the description?! Their sausage rolls are pretty stellar too, I discovered that by accident one Christmas time when I got hooked. So, I’ll keep you updated over on Instagram on Sunday on the feast including the Paddington-esque Marmalade ribs! Follow me on over!